This was the first time I had ever seen the northern lights, and they were wonderful to watch. It was near the end of the winter, so the ice on the lake wasn’t as thick or snow-covered as in the middle of winter. However, I liked having that little bit of extra detail in the bottom of the image to contrast the amazing sky. 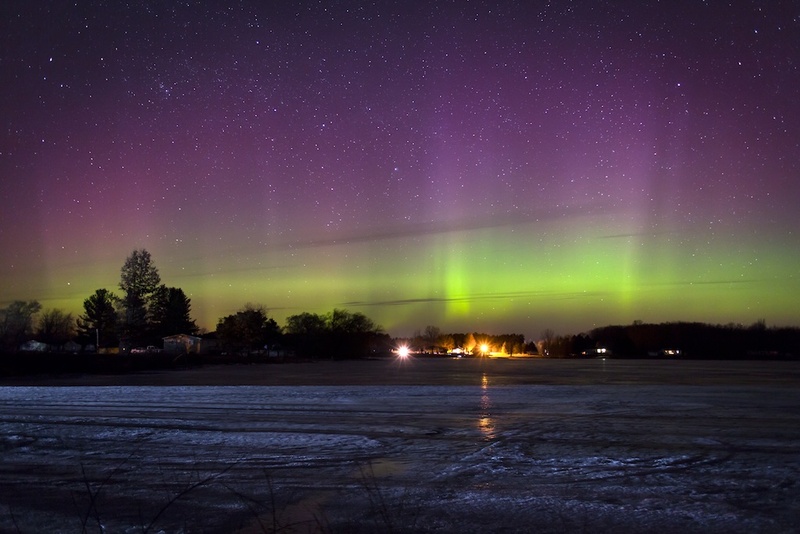 Published May 6, 2015 at 1024 × 683 in Weidman Aurora.